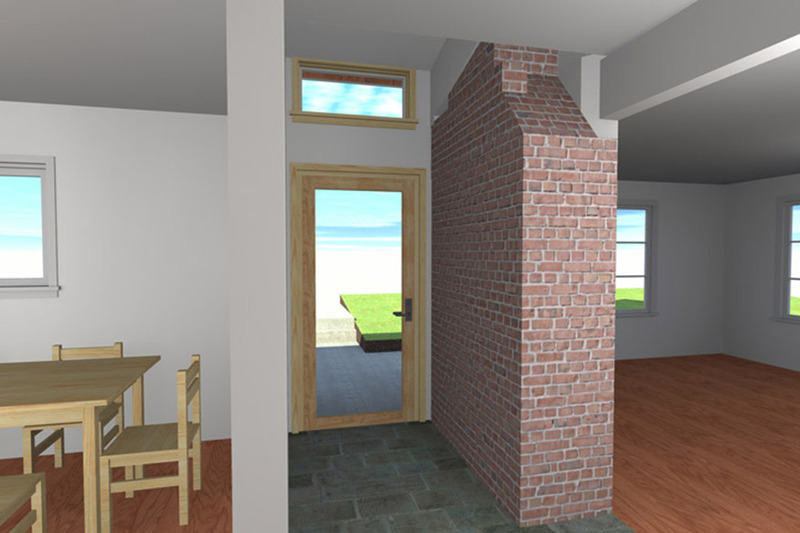 The entry now has appropriate emphasis at the exterior while being separated from the dining room at the interior. The dining room has windows for natural light, but overhangs for good shading from the summer evening sun. There is a more natural flow for guests to go to the living room instead of moving between the kitchen and dining room. This image is taken by the entry closet.